When I saw this latest collection, by Taliah Waajid, hit the natural hair scene, I was intrigued by the trend-setting combination of Green Apple, Aloe Vera, and Coconut. 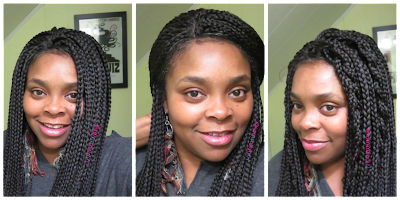 My type 4 natural hair loves aloe vera, and I love the fragrance of green apples so, of course I had to try it. I purchased the Green Apple & Aloe Nutrition Leave-in Conditioner, and the Curl Definer. This product line is said to strengthen, and moisturize hair, sealing in moisture with vitamins, minerals, fiber, and protein for softer, smoother hair. 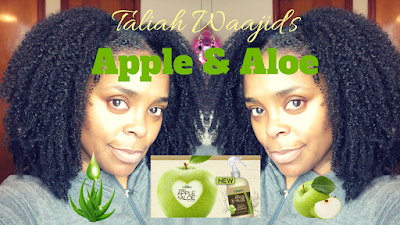 Check out my video review on Taliah Waajid's New, Green Apple & Aloe Nutrition Curl Definer line.